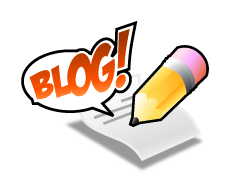 WELCOME TO NEVERCLICK, REFBACK FORUM. PTC, BTC ,HYIPS, REVSHARES, CRYPTO AND MUCH MORE. HAVE FUN..!! 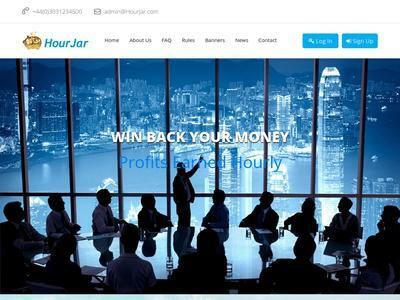 Hourjar is a registered foreign exchange company in the UK. The company's predecessor is a foreign exchange agency that has been operating for seven years. In the second half of 2018, in response to the call of the state, it recalled the establishment of the Hourjar in London by its branches in Europe and Asia.Top expert teams have earned $40 billion in the past seven years, with an average market experience of more than 20 years. The amount of 5 USD has been withdrawn from your account. Accounts: U4222871->U7111397. Memo: Shopping Cart Payment. Deposit to HourJar User nelomota.. Date: 08:51 14.11.18. Batch: 235926853. The amount of 0.3 USD has been deposited to your account. Accounts: U8546130->U4222871. Memo: API Payment. Withdraw to nelomota from HourJar.. Date: 09:37 14.11.18. Batch: 235931681. The amount of 1.13 USD has been deposited to your account. Accounts: U8546130->U4222871. Memo: API Payment. Withdraw to nelomota from HourJar.. Date: 13:08 14.11.18. Batch: 235955465. The amount of 0.51 USD has been deposited to your account. Accounts: U8546130->U4222871. Memo: API Payment. Withdraw to nelomota from HourJar.. Date: 18:48 14.11.18. Batch: 235993067. The amount of 1.16 USD has been deposited to your account. Accounts: U8546130->U4222871. Memo: API Payment. Withdraw to nelomota from HourJar.. Date: 10:10 15.11.18. Batch: 236058023. The amount of 1.82 USD has been deposited to your account. Accounts: U8546130->U4222871. Memo: API Payment. Withdraw to nelomota from HourJar.. Date: 08:53 16.11.18. Batch: 236171487. The amount of 2.04 USD has been deposited to your account. Accounts: U8546130->U4222871. Memo: API Payment. Withdraw to nelomota from HourJar.. Date: 09:37 17.11.18. Batch: 236287809. The amount of 0.6 USD has been deposited to your account. Accounts: U8546130->U4222871. Memo: API Payment. Withdraw to nelomota from HourJar.. Date: 09:30 18.11.18. Batch: 236388088. The amount of 0.15 USD has been deposited to your account. Accounts: U8546130->U4222871. Memo: API Payment. Withdraw to nelomota from HourJar.. Date: 18:00 19.11.18. Batch: 236564297. The amount of 0.15 USD has been deposited to your account. Accounts: U8546130->U4222871. Memo: API Payment. Withdraw to nelomota from HourJar.. Date: 19:29 20.11.18. Batch: 236702414. The amount of 0.33 USD has been deposited to your account. Accounts: U8546130->U4222871. Memo: API Payment. Withdraw to nelomota from HourJar.. Date: 10:28 21.11.18. Batch: 236765434. The amount of 0.15 USD has been deposited to your account. Accounts: U8546130->U4222871. Memo: API Payment. Withdraw to nelomota from HourJar.. Date: 18:31 21.11.18. Batch: 236821250. The amount of 0.15 USD has been deposited to your account. Accounts: U8546130->U4222871. Memo: API Payment. Withdraw to nelomota from HourJar.. Date: 10:19 23.11.18. Batch: 237008762. The amount of 0.15 USD has been deposited to your account. Accounts: U8546130->U4222871. Memo: API Payment. Withdraw to nelomota from HourJar.. Date: 09:48 24.11.18. Batch: 237118404. The amount of 0.15 USD has been deposited to your account. Accounts: U8546130->U4222871. Memo: API Payment. Withdraw to nelomota from HourJar.. Date: 11:03 27.11.18. Batch: 237434635. The amount of 0.45 USD has been deposited to your account. Accounts: U8546130->U4222871. Memo: API Payment. Withdraw to nelomota from HourJar.. Date: 12:55 28.11.18. Batch: 237560736. The amount of 10 USD has been withdrawn from your account. Accounts: U4222871->U7111397. Memo: Shopping Cart Payment. Deposit to HourJar User antonio.. Date: 10:07 29.11.18. Batch: 237654095. The amount of 0.45 USD has been deposited to your account. Accounts: U8546130->U4222871. Memo: API Payment. Withdraw to nelomota from HourJar.. Date: 10:03 29.11.18. Batch: 237653722. The amount of 3.48 USD has been deposited to your account. Accounts: U8546130->U4222871. Memo: API Payment. Withdraw to antonio from HourJar.. Date: 10:18 30.11.18. Batch: 237759577. The amount of 1.3 USD has been deposited to your account. Accounts: U8546130->U4222871. Memo: API Payment. Withdraw to antonio from HourJar.. Date: 19:21 30.11.18. Batch: 237809193. The amount of 0.6 USD has been deposited to your account. Accounts: U8546130->U4222871. Memo: API Payment. Withdraw to nelomota from HourJar.. Date: 09:58 01.12.18. Batch: 238015666. The amount of 2.03 USD has been deposited to your account. Accounts: U8546130->U4222871. Memo: API Payment. Withdraw to antonio from HourJar.. Date: 09:57 01.12.18. Batch: 238015500. The amount of 1.6 USD has been deposited to your account. Accounts: U8546130->U4222871. Memo: API Payment. Withdraw to antonio from HourJar.. Date: 20:39 01.12.18. Batch: 238248823. The amount of 2.03 USD has been deposited to your account. Accounts: U8546130->U4222871. Memo: API Payment. Withdraw to antonio from HourJar.. Date: 10:46 02.12.18. Batch: 238290378. The amount of 0.45 USD has been deposited to your account. Accounts: U8546130->U4222871. Memo: API Payment. Withdraw to nelomota from HourJar.. Date: 09:37 03.12.18. Batch: 238383743. The amount of 0.9 USD has been deposited to your account. Accounts: U8546130->U4222871. Memo: API Payment. Withdraw to nelomota from HourJar.. Date: 15:04 07.12.18. Batch: 238853402. The amount of 1.8 USD has been deposited to your account. Accounts: U8546130->U4222871. Memo: API Payment. Withdraw to nelomota from HourJar.. Date: 12:01 10.12.18. Batch: 239118778. The amount of 1.05 USD has been deposited to your account. Accounts: U8546130->U4222871. Memo: API Payment. Withdraw to nelomota from HourJar.. Date: 10:18 12.12.18. Batch: 239333594.